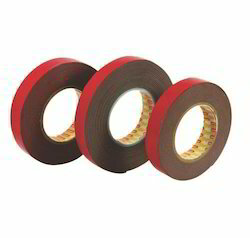 Pioneers in the industry, we offer aluminum foil tape, double side red linear polyester tape, acrylic foam tapes, double side tissue tape, masking tape and reinforced paper tapes from India. 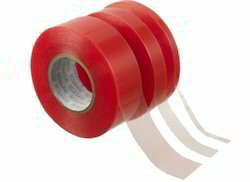 Owing to the efforts of our skilled professionals, we have been constantly engaged in offering a qualitative assortment of Double Sided Red Polyester Tape. For Emblems & Body Side Mouldings Mounted trims, emblems & body side moldings are fixed with high-performance adhesive tapes & die-cut. Various grades of acrylic foam tapes & PE foam tapes & their die-cuts are available in various thicknesses. Colours : Clear, Grey, Black, and White. 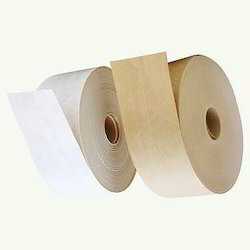 • D/S Tissue Tape is special tapes which consist of nonwoven tissue and is coated with strong adhesive on both sides.it bonds firmly on to leathers,woods,plastic,any two similar of dissimilar materials. • Manual Splicing of paper during processing in finishing house of paper industries.D/s Tissue tape is the right solution for core starting an application in paper industry. 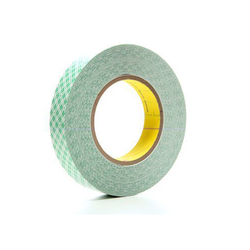 With the assistance of our experts, we are putting forward our customers Cross Masking Tape. 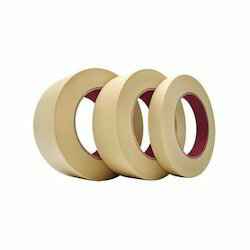 This tape is designed from the finest quality material according to the set quality measures. Keeping in mind the end goal to guarantee its tear quality, the offered tape is tried on stringent parameters. The offered tape is accessible in distinctive measurements and can likewise be altered according to the particulars provided by our customers. Lamination with fiberglass, specially for reinforced purpose. Very high tensile strength. High adhesion. Good packaging results. 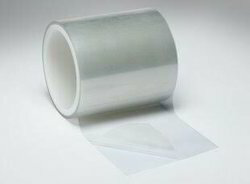 This tape with fiberglass backing is designed for heavy packaging in economical way. High resistance to abrasion while transporting. Brown & white colour available. Environment friendly, and temper proof. It can be laminated directly without the pre-heating or after-drying. Itnis permanent, super clear and glossy. OPP laminating film over the subject as a protection film after printing. Masing the printing surface looks more exquisite. Available in transparent & matt film. Suitable for all kind of labels lamination.